Next Friday 6th of January you can enjoy the exclusive dj mix from Lahox to Maxima FM. 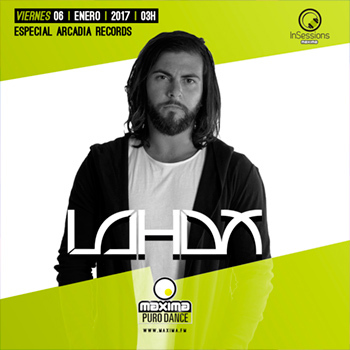 Lahox is one of the guest djs to complete the line up for Arcadia Records night to the program “In Sessions”. Sharing night with artist from the record label as Jose De Mara, Crusy or Les Castizos.